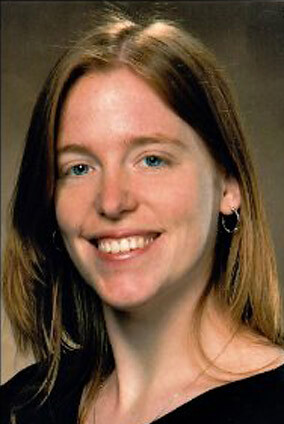 Dr. Dinan received her Doctor of Veterinary Medicine degree from Ohio State University in 2008. After graduation, she completed a small animal internship at two large specialty hospitals in the greater Chicago area. Dr. Dinan is a certified veterinary acupuncturist and herbalist and completed her training at the Chi Institute, a world-renowned institute for Traditional Chinese Veterinary Medicine. Following her acupuncture certification, she has also completed an advanced acupuncture course and a course on evidence based Chinese medicine. Dr. Dinan is a certified canine rehabilitation practitioner and completed her studies at The University of Tennessee College of Veterinary Medicine. Dr. Dinan enjoys the challenge of working with clients to develop an integrative plan to treat patients with acute and chronic disease. In particular, she enjoys working with patients with neurologic or musculoskeletal injuries to help develop a plan for a complete recovery. The combination of rehabilitative medicine and alternative modalities with conventional care can enhance healing by stimulating the nervous system, modulating the immune system, decreasing pain, improving blood flow, and reduce recovery time. 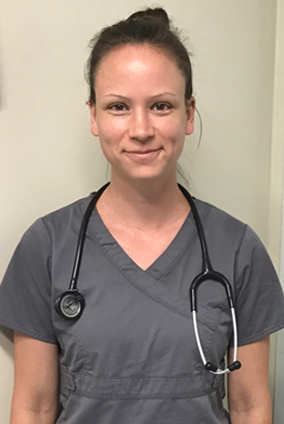 Dr. Dinan is a native of New England and enjoys spending time with her husband, daughter and son, as well as their black lab, corgi, and cat. When she is not at work, she enjoys spending time outdoors running, hiking, rock climbing, and scuba diving. Dr. Suzanne Sutton works part time at Lloyd Animal Medical Center as a Veterinarian and Rehabilitation Specialist. She has thirteen years of animal care experience prior to joining the team in April of 2017. Suzanne earned her DVM from Tufts University, her CVMA from Colorado State University, and her CCRT from the Canine Rehab Institute. Dr. Sutton evaluates and implements rehabilitation plans for patients, along with pain management and assistive devices. Her experience in acupuncture and training as an orthotic and prosthetic consultant make her a great asset to our team. Dr. Sutton loves working with such a highly skilled and loving group of therapists and assistants. In her free time, Dr. Sutton loves gourmet cooking and art. She enjoys spending time with her family and fifteen year old dachshund mix.